When you are out or traveling, have you had a bad experience in the rainy or stormy day? When your family, friends or customers want high quality and super windproof umbrellas, do you have a headache to give a good recommend? Don’t worry, you are not the only person met this issue. As a professional umbrella manufacturer for many years, we’ve rounded up 10 of the best windproof umbrella deals available now. You can also check out The BiruiEnjoy’s products catalog from more stylish options. If you’re looking for the best travel-friendly option, the auto foldable umbrella is the way to go. This little rain shield is constructed with 8 resin-reinforced fiberglass ribs to make sure that nasty gust of wind doesn’t turn it inside out every time you use it. The canopy is made of 100% polyester that coated for an extra waterproof buffer between you and that rainy day. Due to the fiberglass rib design, It’s compact, lightweight frame makes it perfect for travel during the day, and a lifetime replacement guarantee makes it a safe bet. 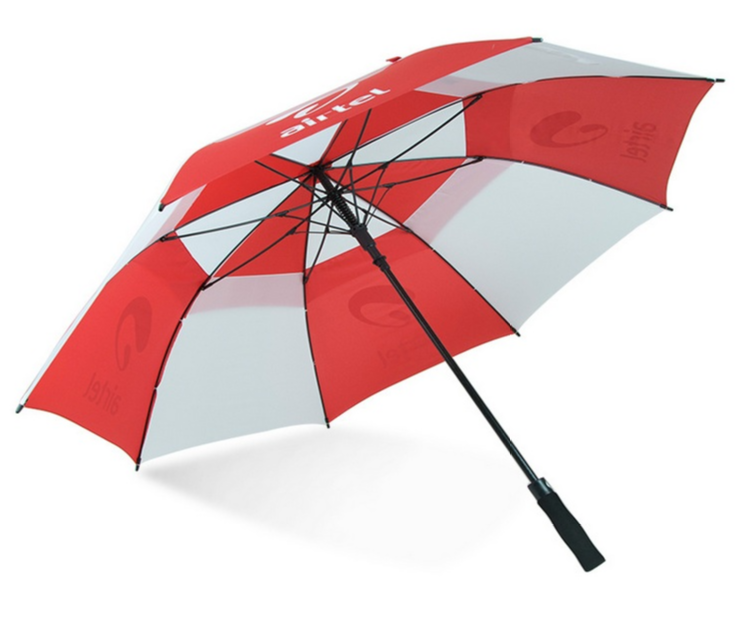 The fold windproof travel umbrella is available to have a customer’s logo or pattern printed. A sample can be quickly arranged for valuation. Sometimes 8 ribs just aren’t enough. This particular windproof umbrella comes with 10 reinforced ribs, allowing it to handle up to 60 mph winds, as well as a canopy that can handle whatever nature chucks its way. This travel umbrella is perfect for those who want a compact option that can handle anything that is thrown at it. The closure strap that made an iron button makes the function to premium. Bright silver and black coated long handle is more ergonomic for a comfort. The black coated iron shaft can quickly open and close due to its fully auto characteristic. 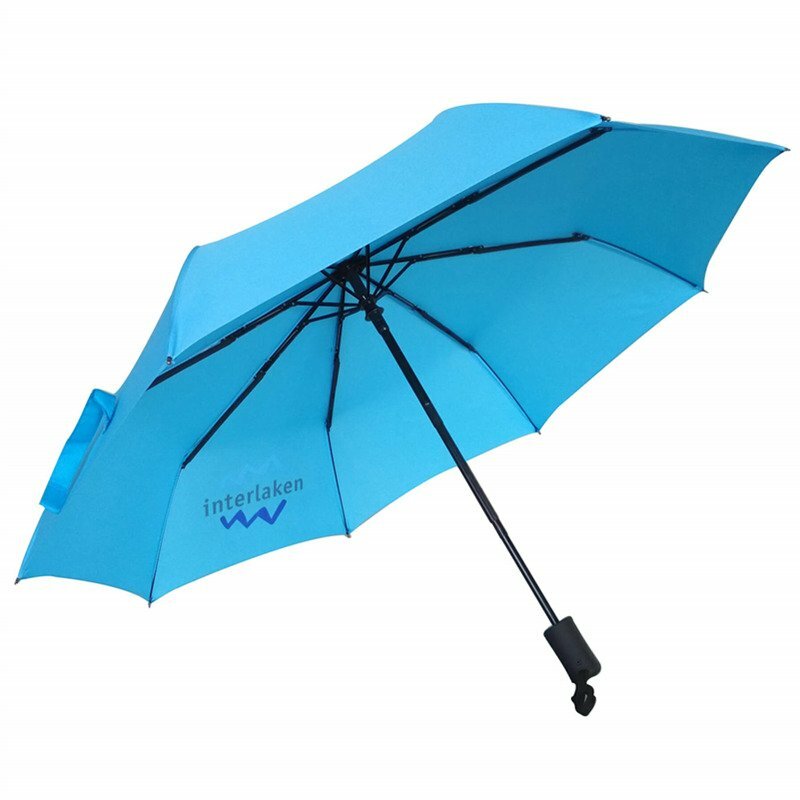 You can get a competitive quote of this umbrella with rain busting tech from BiruiEnjoy. Wind and rain are meant to be kept outside, not brought inside. This double layer rain umbrella has all of the rib reinforcements and wind protection you need on the outside with a soft and dry cloth layer on the interior. As great it is to leave that huge wet spot on the back seat your car, this inverted folding canopy gives you the choice to rest your compact umbrella on the dry side and open with the wet side in. C shaped rubberized plastic handle can free up a hand for other things. Double layer canopy always brings double protection on rains/winds. Want to check the latest price? Click here for a prompt quote. 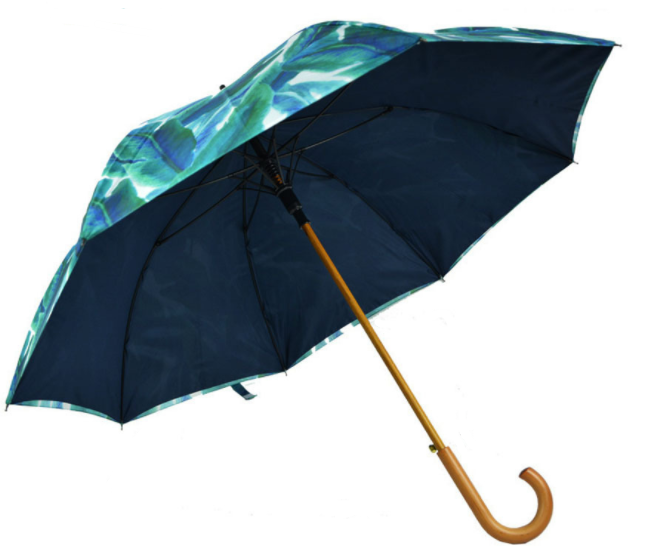 If you’re looking to indulge in something designer then you’ll love this stylish umbrella with an all over print on the outside. It’s luxurious and high quality. The frame is made of fully fiberglasses that can against strong rains/winds. The hook handle is made from timber for the comfortable grip that you require. Moreover, the 190T poly-pong fabric is made with strong technology to repel water. Much more is its ability to dry very quickly when water drops on it. 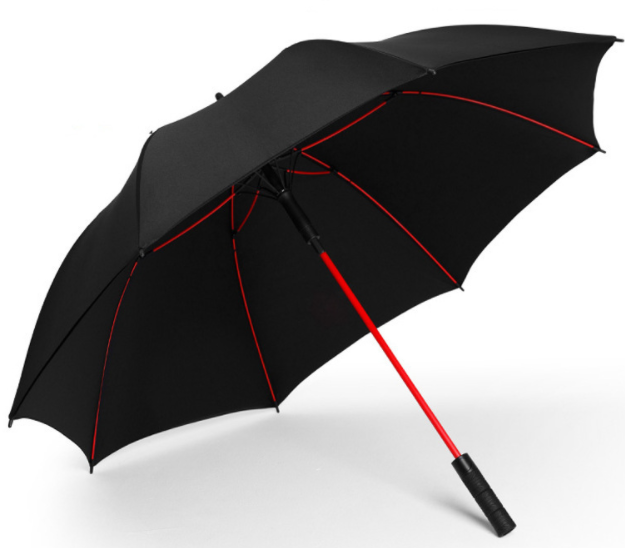 Another fascinating feature of this umbrella is its lightweight design with a weight of less than 1 lb. this will be easy to move with. In terms of functioning it’s pretty easy as you need to press the button and the umbrella opens. What’s the price of this wonderful windproof umbrella? Sent us an inquiry for a quick reply. While normal models are great for protecting a single person from the rain, sometimes you’ll need something a little bit bigger — that’s where these larger options come in. This windproof option packs a 60-inch diameter, so you can protect you and someone you love from the unpredictable forces of nature. With a compact canopy and waterproof fabric, this is resistant umbrella is as durable as it is hydrophobic. The black structure is made from fiberglass which is quite strong to protect umbrellas work in stormy days. When the wind blows the canopy inside out, just to close it. Umbrella canopy will be back itself as before. How much to custom this strong golf umbrella? Leave us a message for an offer. Do you want a model with eye-catching and personalized? This big umbrella colored frame can meet your demand. 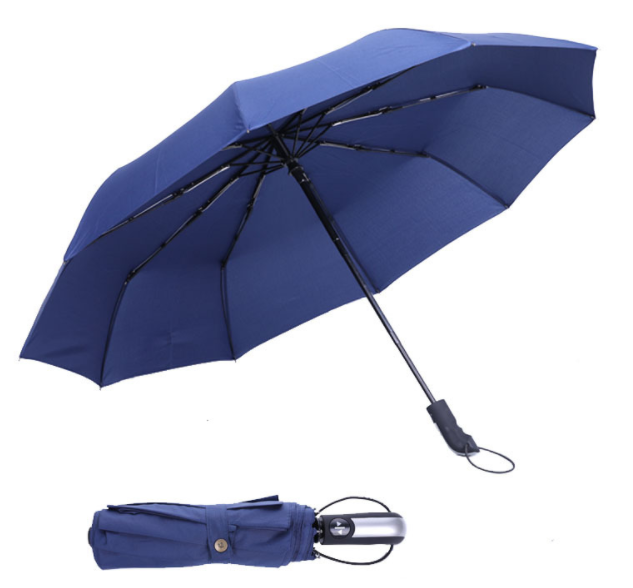 With a wide diameter of 120 cm, the water-resistant canopy can help umbrella inside is always dry. Raindrop will be quickly fall off from the outside of the canopy. So you don’t worry whether umbrella will bring too many rains when closing it. While standard fiberglass in black color, this model is colored in red. A little change, a big surprise. Currently available color can be red, yellow, blue, green. When purchase quantity to meet 3000pcs, frame color can as per PMS No. Do you want a strong model with correct frame color? Contact our sales for a valid quote. If you’re looking for something stormproof but don’t want to sacrifice the joy of having an auto feature, this is the perfect model for you. With a hardened fiber frame and a vent, this beast of rain blocker is virtually windproof, and a large 130 diameter canopy gives you all the rain protection you could ever need. Besides, the special design on canopy helps umbrella remain strong enough, even to meet heavy rains or Stormwind. For a convenient open, the button is designed on the fiber shaft. Grip handle is made from a foam material which helps anti-slip and let people hold the umbrella steadily. 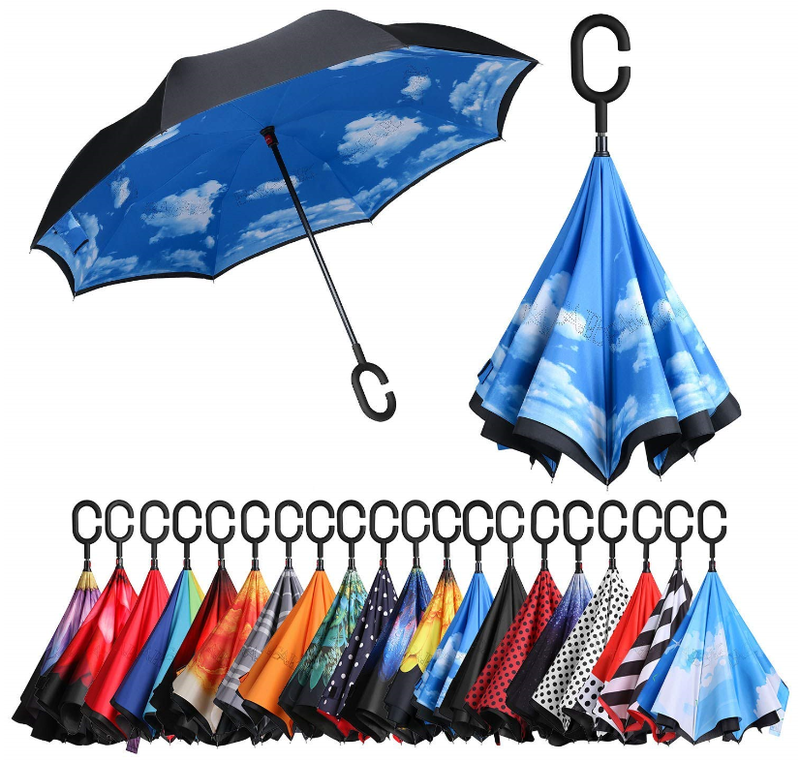 This vented golf umbrella is quite popular for the sports team, golf club, etc. Click here for a logo printed service. To sum up, for wind and rain protection that also fits in your bag, go for folding. 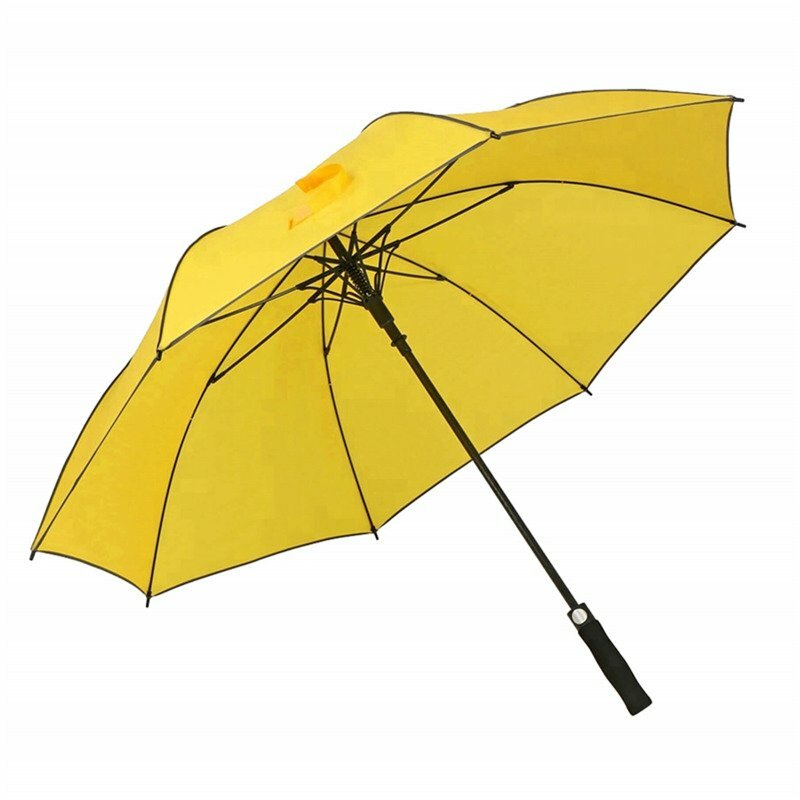 BiruiEnjoy Umbrellas also has a great design with its classic model, if you don.t mind a bigger brolly. And Next’s automatic umbrella is ideal for anyone not looking to spend much. If you want the size bigger, look into golfs. BiruiEnjoy always providing good umbrellas for you. What umbrella do you want?